Our latest piece – Last December Staff Sergeant Ian Matthews tragically took his own life after spending his whole career selflessly helping others. We wanted to help; not only to remember him and his work, but to create awareness about PTSD and hopefully help prevent tragedies like this in the future. 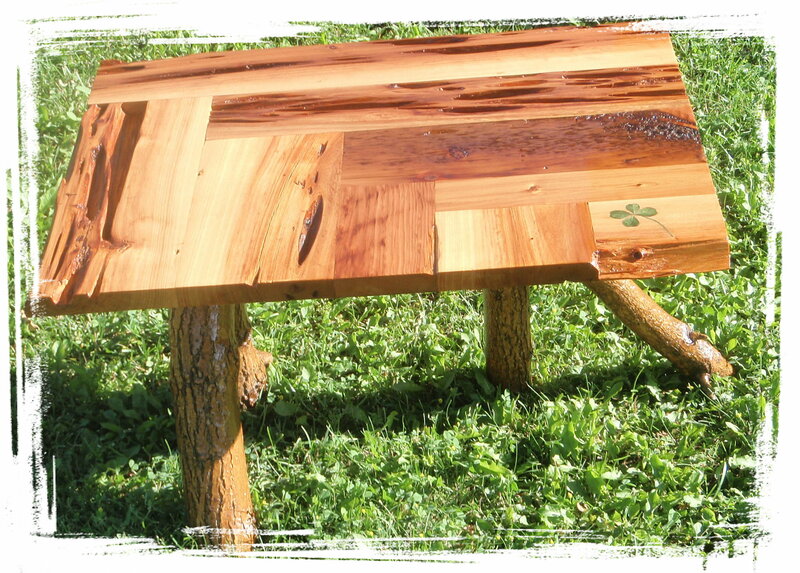 We created “Ian’s Table” – a custom coffee table with a genuine 4 leaf clover inlay to honor his Irish heritage. We are honored the Hamilton Police Department is willing to accept this small donation, and use it towards funding a new group being offered to other front line workers needing support. If you, or someone you know struggles with any mental health concerns, you are not alone. Let’s change the conversation around mental health from one of shame, fear and isolation to acceptance and support. We can all make a difference!